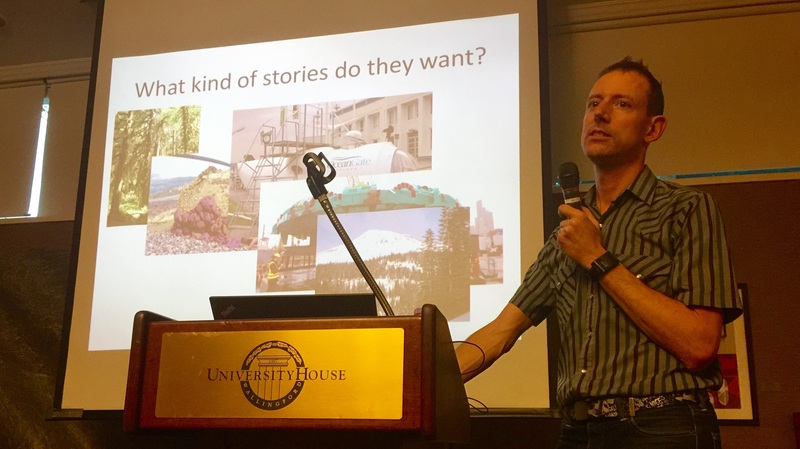 Mark Harris, freelance technology and science writer, spoke to NSWA members and guests about writing for international audiences on April 8 at University House. Harris writes regularly for The Economist, The Guardian and London’s Sunday Times. He also writes for IEEE Spectrum, Scientific American and MIT Technology Review, and has been published in a dozen countries, from France to Australia. Harris is also the recent recipient of a McGraw Fellowship for Business Journalism.